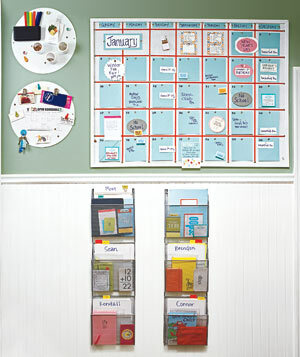 Pin It Thanks for joining us again as we conclude with part 3 in a 3 part series on organization. See last week's post here. 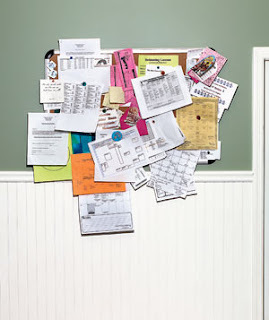 The action that can make the biggest impact in the organization of your home is to reduce your paper clutter. Mail. There is no reason to receive credit card statements, bank statements, or bills in the mail anymore. Fix this. Set up online banking and bill pay. Sign up to be removed from junk mail lists. Keep a recycling bin handy and sort your mail out immediately—time yourself, but it can’t take more than 2 minutes to get rid of all the junk. Recycle, throw away or shred every envelop as soon as you open it an remove the desirable contents. Other incoming paper. Stop coming home from events with paper. Decide before you leave if you really need this piece of paper. If you don’t read your newspaper, admit it to yourself and stop getting it. If you do not log every purchase you make, stop saving receipts for anything but major purchases and items you might return, or at least throw them away as soon as you’ve checked them against your online (that’s right, online) statement. You want to be organized; it's a natural desire. Organization just comes a bit more naturally to some than others. You may be a person who has to work a little harder, but organizational behaviors can be learned. The most important concepts I have tried to apply to my own life are mostly contained in this post. Ask me for any more help you may need. This is great! There are a few payments that we have to make that doesn't allow for paperless for some reason...boo!!! And I am making that photobook of my kids' crafts this year. I have a folder on the desktop to store the photos for a quick upload. I agree - paper is the biggest problem in our house. I try to throw out the junk mail as soon as it arrives, but somehow it still seems like there is a steady stream of papers to wade through every week. Great organizational post!! !